KAYBEC is a small operation with no aspirations to grow big. 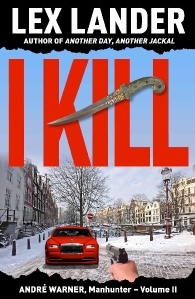 At present it has only two authors in its stable – LEX LANDER, a prolific thriller writer, British by birth, but living in Montreal, and A K STUART, whose genres are romantic thrillers and erotica, and who lives in Spain. 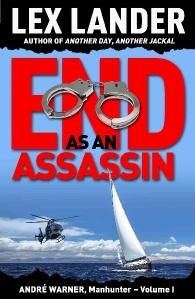 LEX LANDER is a British born writer of crime thrillers, living and working in Montreal. Despite heavy business commitments - he is a partner in a Property Realtor business - he is currently finding time to produce two novels per annum. Kaybec is devoting all its energies and funds to developing, promoting, and supporting Lex and publishing his works. It believes that high sales of his novels can be achieved given sufficient persistence and perseverance and focus on methods of publicity proven to be effective - on- and off line. Lex’s first two titles have been published as B-format paperbacks and as eBooks. The paperbacks are sold in the UK through WHSmith, Britain’s premier bookselling chain. It is expected that future titles in the series will also be stocked by WHS. His first, ANOTHER DAY, ANOTHER JACKAL, was published in 2013 as a ‘trial run’. It is currently available as a B-format paperback and as an eBook. Other writers’ works will be published by Kaybec provided they meet the company’s strict genre requirements.